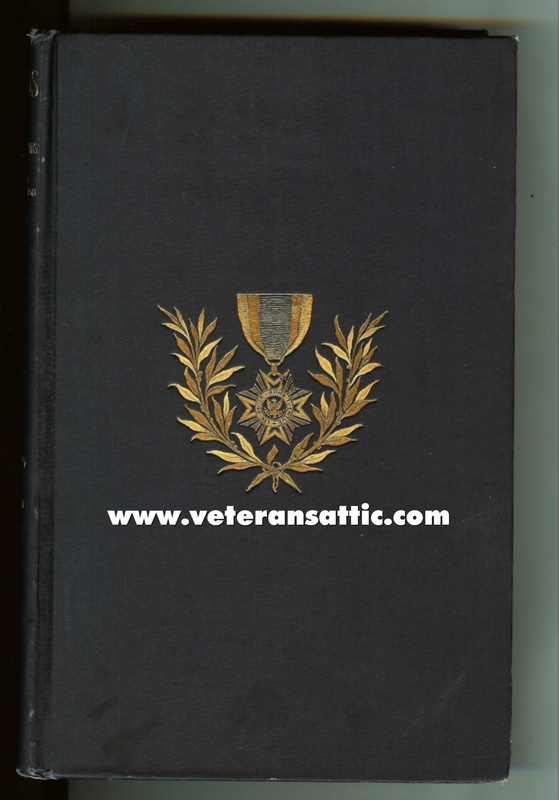 A very hard to find MOLLUS ( Military Order of the Loyal Legion of the United States) book with memorials to deceased commrades. This great book is from the Illinois Commandry and is dated May 8, 1879 to July 1, 1901. This series of books has photographs and information on a large group of Civil War soldiers who were members of the Military Order of the Loyal Legion of the United States (MOLLUS). While there are many Illinois and Indiana soldier information, there is also information from soldiers from all over the Union. Only one of these books available. "The Last Review, The Confederate Reunion, Richmond 1932" written by Virginius Dabney. This wonderful book was published in 1984. If you are truly interested in Confederate reunions this is a book you will enjoy. This book has great photos of Confederate vets at the "last" great reunion as this reunion has been called. This book has been out of print for many years.